The Main Branch of the Rapides Parish Library held their annual Eggstravaganza Wednesday, April 17. 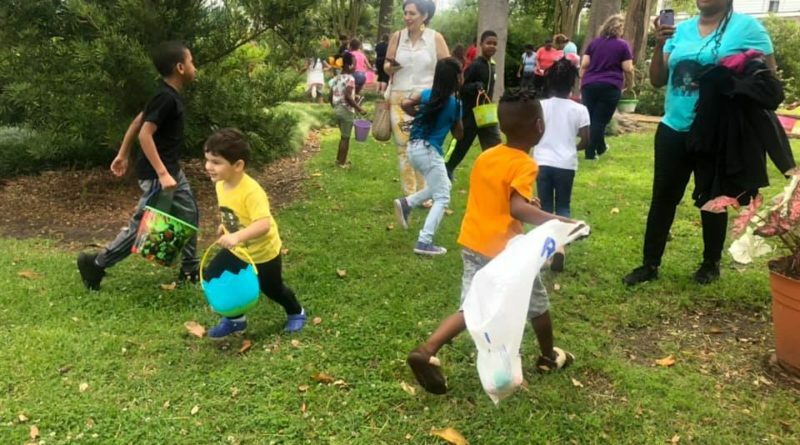 “.Spring break is a time for relaxation and easter bunnies for many.More than 50 kids came out to experience the Eggstravaganza .They kick things off with high energy music, story-time and last but least an easter egg hunt.Not only was this a time for kids to enjoy , parents were grateful for the free event . ” Its very awesome to give our kids a view to come out here and have a free easter egg hunt so they can enjoy their spring break” .The easter bunny was the main attraction as kids got a chance meet and take pictures with him. Kids walked away with a basket full of eggs filled with sweet treats.